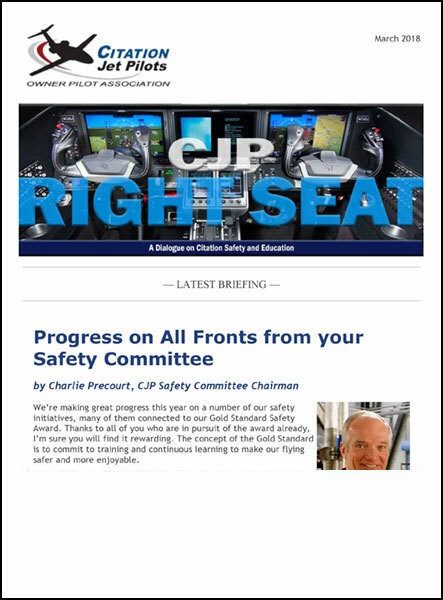 The CJP Safety and Education Foundation has a dedicated Safety Committee to engage with CJP members on methods and procedures for operating their Citation aircraft in the safest possible manner, and to share safety-related resources for use by its CJP members and the broader aviation community. 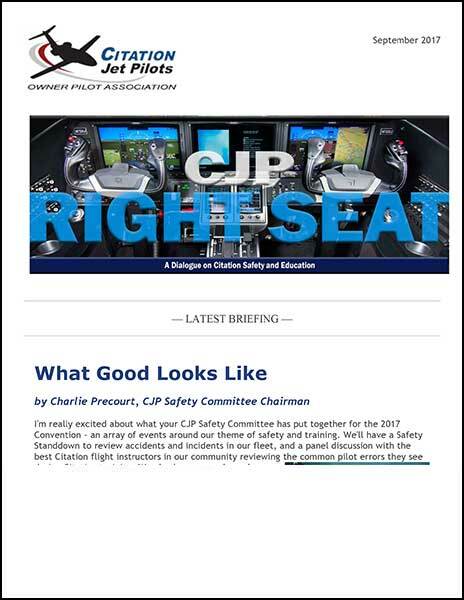 As a CJP member you will receive a quarterly newsletter called CJP Right Seat, and have access to advisory safety materials and links below. Please note that we don’t tell you how to fly your airplane, but give you things to think about when you do. 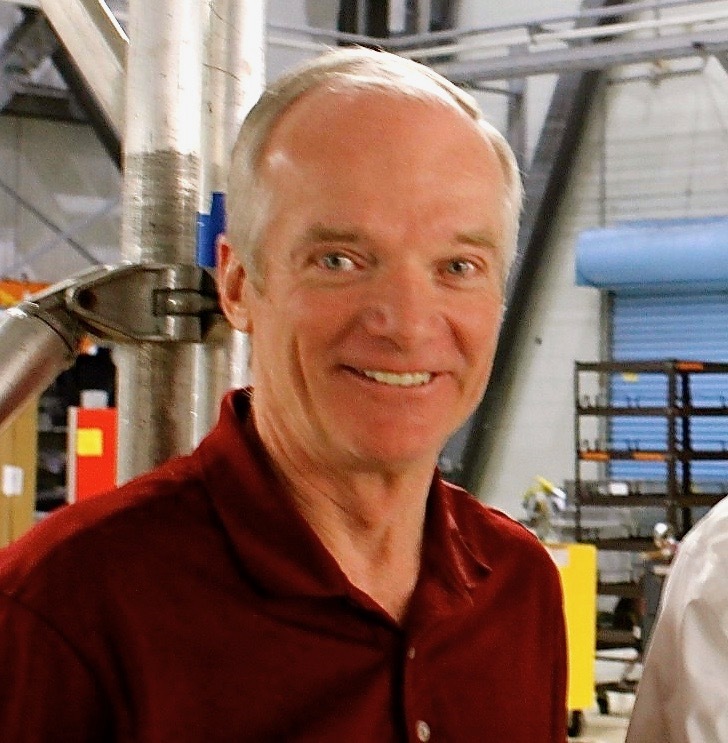 The new Safety Committee is chaired by noted industry professional Charlie Precourt, a former Air Force F-15 test pilot / instructor and a four time NASA space shuttle astronaut who was inducted into the NASA Astronaut Hall of Fame. Precourt holds a commercial pilot certificate with instrument and certified flight instructor (CFI) ratings, and has accumulated over 11,000 hours of flight experience in 90 different aircraft types, including several versions of the Cessna Citation. You can read his full bio here and see the press release here. 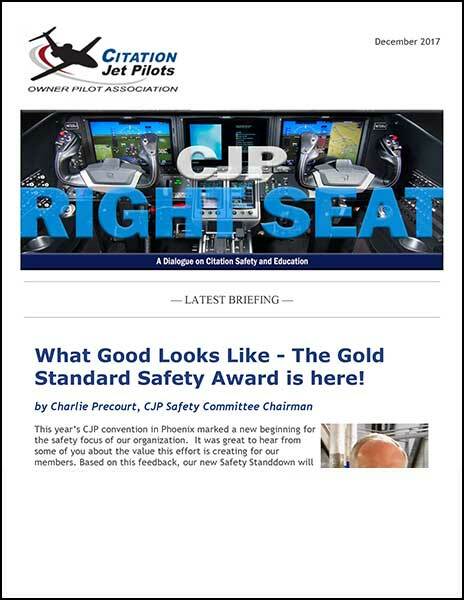 CJP Right Seat -- A quarterly dialog addressing Citation safety. 100 PIC Turbine hours between August 1, 2018 and July 31, 2019. 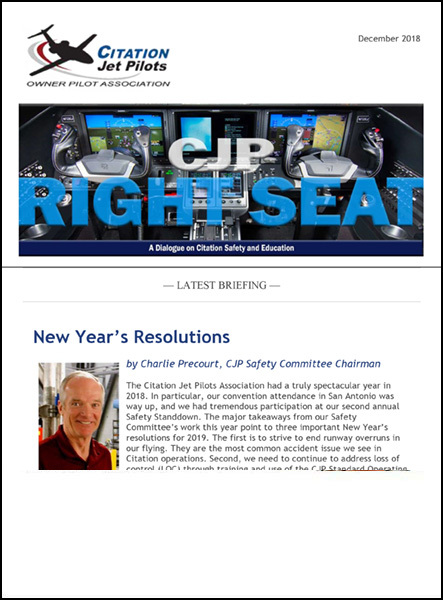 Agreement to read and incorporate the CJP Standard Operating Practices (SOPs) into your flying. A 61.58 check at a Part 142 simulator training provider between August 1, 2018 and July 31, 2019. 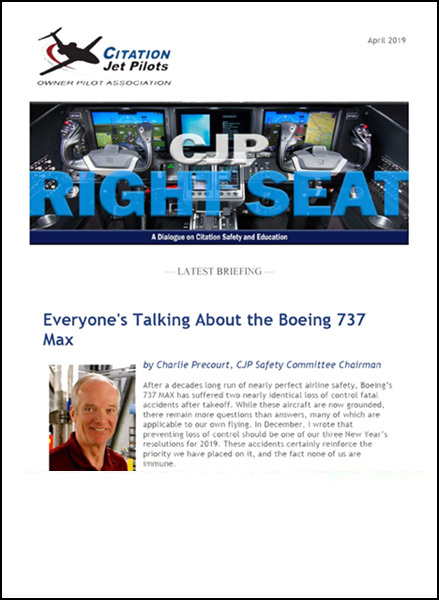 A second 61.58 at a Part 142 simulator training provider or six (6) hours of Citation dual instruction in an aircraft or simulator between August 1, 2018 and July 31, 2019. Additional training between August 1, 2018 and July 31, 2019. 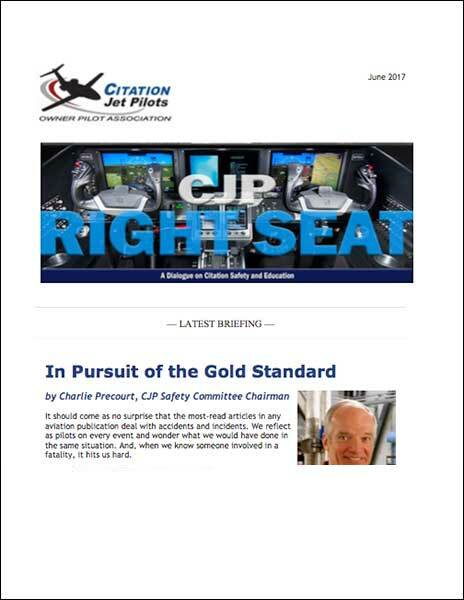 The application can be downloaded here and will need to be submitted with supporting documents to safety@citationjetpilots.com by August 7, 2019. 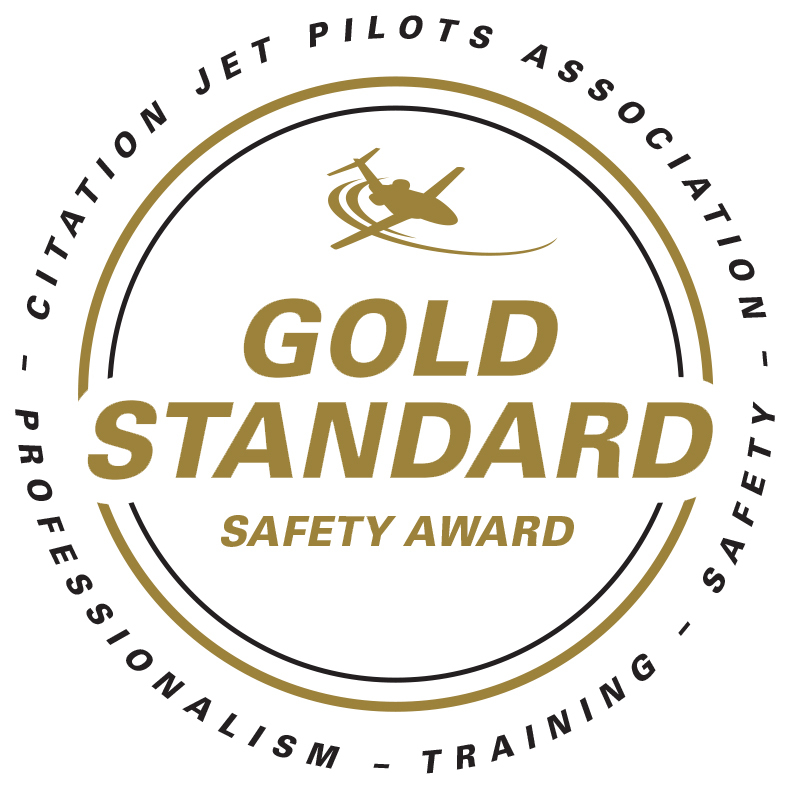 Thank you for your consideration and use of the CJP Safety & Education Foundation, Inc. (“CJP”) standard operating practices (“SOPs”) for operators of Citation aircraft. 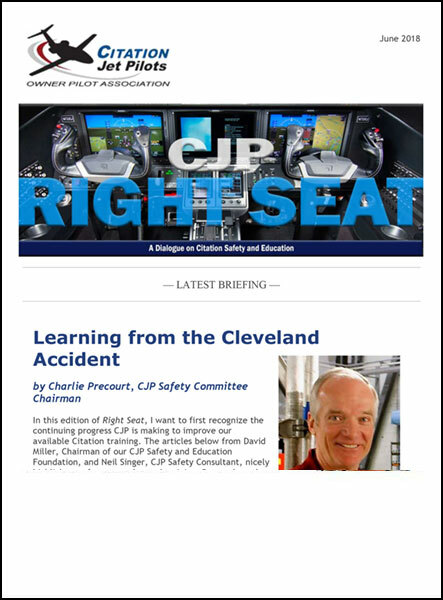 These SOPs are provided to CJP members as a tool to guide and supplement the safety of flight actions of the owner and pilot in command of Citation aircraft. 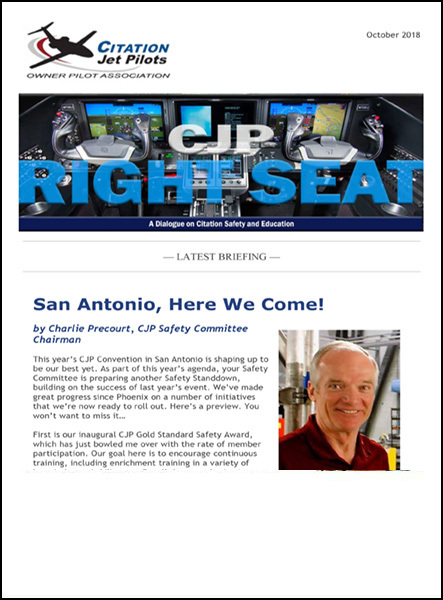 They are a set of best practices taken from various industry sources compiled by the CJP Safety Committee. In the case of any conflict between the SOPs and Federal Aviation Regulations or Federal Aviation Administration policy (together “FARs”), the FARs shall supersede the SOPs. Also, the SOPs do not replace definitive materials such as the approved and current Airplane Flight Manual, Operating Manual or related official documentation from the manufacturer or sub-system vendors (such materials are “Official Documentation”). Any user of the SOPs, whether an owner or pilot and whether or not acting as the Pilot-in-Command (PIC), is responsible for verifying the appropriateness and applicability of any action or set of actions in the SOPs against the FARs and Official Documentation. Such verification should reference official sources of information for any particular Citation aircraft, such as the approved and current Airplane Flight Manual provided by the manufacturer. Furthermore, the SOPs may not flag or provide guidance on every safe practice or flight condition. As always, the PIC shall be responsible for gathering all relevant, authorized information before making decisions related to the safe and legal conduct of a flight. No express or implied warranty is given for the accuracy of the information contained in the SOPs. The accuracy and completeness are not guaranteed and CJP shall not have any liability for the use of the SOPs. By accepting the SOPs from CJP, you agree to use the SOPs at your own risk and agree to indemnify and hold harmless CJP (including its officers, directors, committee members, employees and contractors) from any losses, financial or otherwise, claims, damages or other expenses that occur directly or indirectly in connection with your use of the SOPs. Failure to read or understand this disclaimer, in no way absolves the user of his or her responsibility to be familiar with its contents. If you do not agree to be bound by all the terms set out herein, do not use the SOPs. 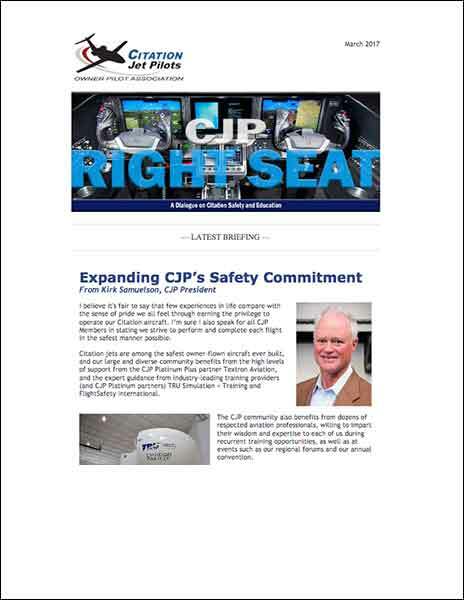 If you have a safety-related comment, question or story to share, please send an email to safety@citationjetpilots.com. Any user of the materials on this page, whether an owner or pilot and whether or not acting as the Pilot-in-Command (PIC), is responsible for verifying the appropriateness and applicability of any action or set of actions in the any of these material against the FARs and Official Documentation. Such verification should reference official sources of information for any particular Citation aircraft, such as the approved and current Airplane Flight Manual provided by the manufacturer. Furthermore, the materials may not flag or provide guidance on every safe practice or flight condition. As always, the PIC shall be responsible for gathering all relevant, authorized information before making decisions related to the safe and legal conduct of a flight. No express or implied warranty is given for the accuracy of the information contained in the materials. The accuracy and completeness are not guaranteed and CJP shall not have any liability for the use of the materials. You agree to use the materials on this page at your own risk and agree to indemnify and hold harmless CJP (including its officers, directors, committee members, employees and contractors) from any losses, financial or otherwise, claims, damages or other expenses that occur directly or indirectly in connection with your use of these materials. Failure to read or understand this disclaimer, in no way absolves the user of his or her responsibility to be familiar with its contents. If you do not agree to be bound by all the terms set out herein, do not use these materials.